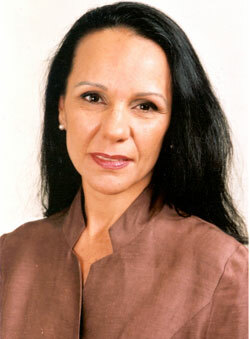 Leading social justice advocate and the first Indigenous woman to be elected to the NSW Parliament, Linda Burney is to present the 7th Vincent Lingiari Memorial Lecture at Charles Darwin University’s (CDU) Casuarina Campus on Saturday 12 August 2006. The lecture is part of celebrations marking the 40th anniversary of the Wave Hill Walk Off by the Gurindji people led by respected elder Vincent Lingiari. The protest eventually led to the passing of the Commonwealth Land Rights Act (Northern Territory) in 1976. In preparing for the lecture Linda Burney MP said she has often asked herself, What would that old man think about Australia today? Would he be shocked to see the place the First Peoples continue to occupy? Would he be surprised by what has not changed? “There is one thing I am certain of, Vincent Lingiari would say to those of us both Aboriginal and non-Aboriginal who are feeling tired and worn out by the struggle for decency and justice for the First Peoples—You cannot give up—and give up we will not,” Ms Burney said. The 2006 lecture will be recorded and played at the 40 years Freedom Day Festival to be held at Kalkaringi and Daguragu, 800 km south west of Darwin on 18 and 19 August. CDU Vice-Chancellor Professor Helen Garnett said CDU was proud to support the Vincent Lingiari Memorial Lecture series. “The Wave Hill Walk Off was a defining moment in Australian history. It began as a protest for equal pay and conditions that soon spread to include the economic aspirations of Indigenous people and the more fundament issue of access to their own traditional lands,” Professor Garnett said. “CDU aspires to be an institution of excellence in key areas of Indigenous knowledge and futures and is renowned as a national and international focal point for Indigenous research and consultancy,” Professor Garnett said. The Fred Hollows Foundation has joined CDU as a major sponsor of the 2006 Lingiari Memorial Lecture. NT Director of the Fed Hollows Foundation, Ursula Raymond, said the Fred Hollows Foundation supports Indigenous advocacy and the Lingiari lecture is a good platform to do this. “Fred Hollows and Vincent Lingiari were old friends. Fred operated on Vincent’s eyes, restoring his sight and Fred was also an active supporter of the Wave Hill Walk Off, “Ms Raymond said. 2006 Lingiari Memorial Lecture will be held at CDU Casuarina campus in the Mal Nairn Lecture Theatre – 6pm for 7.30pm Saturday 12 August 2006. All Welcome.